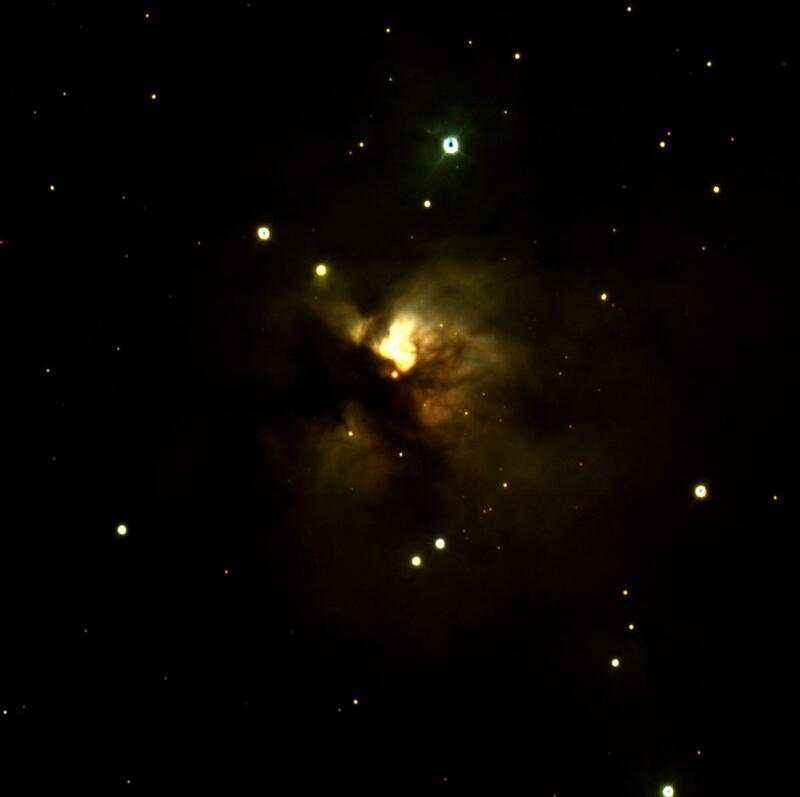 The Image of the Month for October is an object known as NGC 1579, sometimes called the Northern Trifid. It is a nebula (a dusty region) which is currently forming stars. The biggest star within this nebula is very young, and, as it continues to form, it will use up some of the gas and dust we can see around it; but the entire nebula may create hundreds of stars. It takes the light from this nebula over 2,000 years to reach us here on Earth!